Home » The Law & You » Temp Job Refusing to Pay Sister’s Medical Bills. Is That Right? Temp Job Refusing to Pay Sister’s Medical Bills. Is That Right? A viewer says his sister fell at a facility where she was working as a temp. The facility is refusing to pay her medical bills. Is that right? Workers compensation attorneys Greg Fellerman and Ed Ciarimboli explain the temp’s legal options. 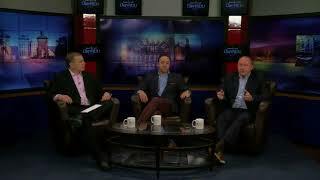 Dave Kuharchik: We’re talking about getting injured on the job in this edition of “The Law & You.” The guys that always have a good answer to our question are attorneys Greg Fellerman and Ed Ciarimboli. Ed Ciarimboli: I like the pink shirt. You’re promoting spring and warmer weather. I like that. Dave: I’m trying to mentally will it this way. Because it hasn’t worked so far. Ed: It has not worked this far. Dave: Gotta do something, right? All right, here’s our question tonight and this is about getting injured on the job. Kim in Lock Haven says, “My sister works for a temp agency as a driver and she fell at one of the facilities. The facility won’t pay for her medical bills. Is this right?” So does working for the temp agency have anything to do with it? Ed: Yes, actually, the facility is correct. The facility does not have to pay for your sister’s medical treatment. Your sister works for the temp agency. So, under the laws of Pennsylvania, when someone is injured in the course and scope of their employment, the employer is responsible for paying for their medical bills. So the facility that she got hurt at, they may have liability on another issue but the temp agency is your sister’s employer. They’re going to be on the hook for her medical bills. I’ll let Greg tell you what you can do what you can do against the facility potentially. Greg Fellerman: With regard to the workers compensation, that’s exactly what it’s there for, to pay for your loss wages and your medical bills. With regard to the potential fall case against the facility, if there’s a defective condition on the property that caused you to fall that wasn’t open and obvious, you may have a claim. So, we always say with any of these slip and fall cases, in today’s day and age, grab your cell phone, take some pictures of the scene immediately, or get a friend to do it if you are unable to. Cause that’s the evidence you have to have to preserve those cases. And then, again, we can determine if there’s a case. The more we have, the better decision you can make. But, workers comp, you’re definitely going after the temp agency. They’re the right ones to pay. Dave: All right and for those that want to reach you if they are injured in an accident while on the job, how can they talk to you guys? Ed: Or post a picture of the facility, post a picture of the defect, and we can put it on a “Law and You” segment, and then we’ll analyze it to see if you have a potential claim. Dave: All right, easy enough. Results matter with attorneys Greg Fellerman and Ed Ciarimboli. Gentlemen, thanks so much. Ed and Greg: Thanks, Dave.